This design collection was made for those who love classic cocktail recipes. The embroidery designs are purposely done in a retro advertising style that has overprints and askew lines and stitches to capture that 50’s advertising look and feel. 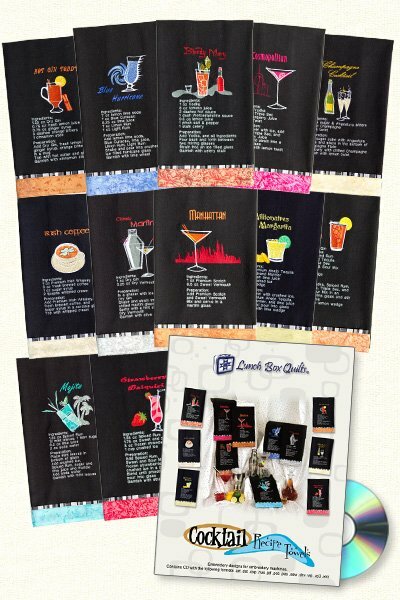 Twelve designs are included each one contains a classic cocktail recipe. Instructions to add a coordinating fabric band are included.